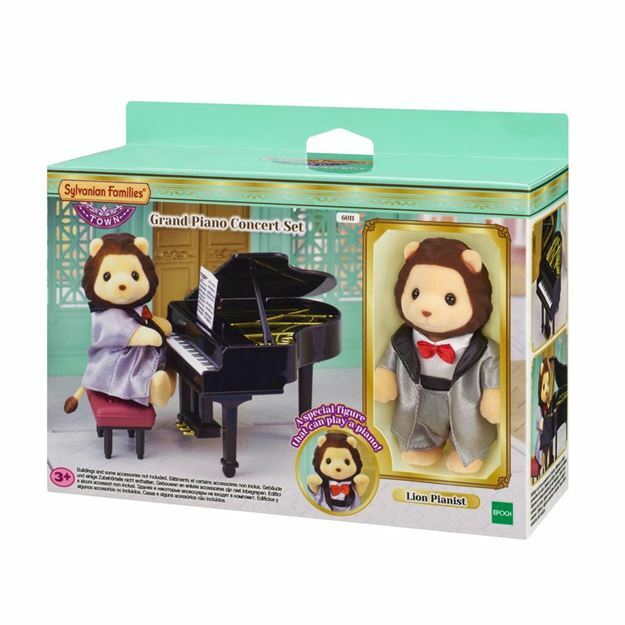 Featuring in the Sylvanian Families Grand Piano Concert set, Lionel Grand is a beautiful pianist, often performing mini concerts at the towns local restaurant. He enjoys writing his own songs and sharing them with friends and family. Combine with the Violin and Cello Concert sets to create a trio recital event (each sold separately). Includes: Lionel Grand (Lion), a grand piano, stool, and music sheet. Buildings and some accessories not included. Part of the Sylvanian Families Town Collection. Age 3+ years. Distributed in New Zealand by Holdson.